Bring a virtual experience home with the headsets that have a little something for everyone in the family. As a starter kit, especially for younger kids, the Google Cardboard is likely your best VR headset option. It’s cheap, easy to use, and there’s a DIY element when crafting together the headset thanks to Google’s instructions. If you're not too sure how deep you want to get into VR, the Cardboard will serve as an introduction. 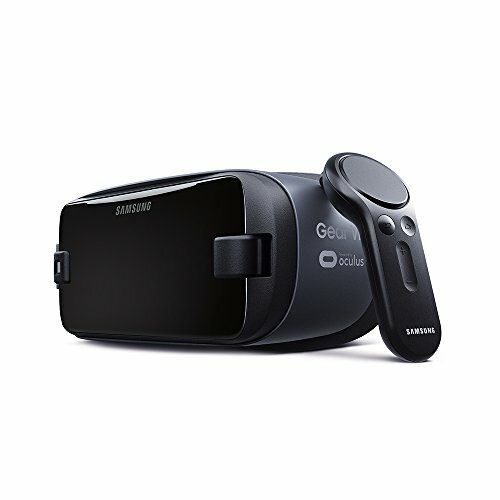 If you have a Samsung Galaxy S6 or newer, the Gear VR deserves a look. It's a super lightweight headset -- 0.76 pounds -- that comes with an onboard touchpad and a handheld controller with a thumb touchpad, trigger, and four other buttons that make interacting with virtual environments easy. Pros: The Samsung VR app has plenty of content from Major League Baseball to live concerts. It also has pretty great social functions that let you “hang out” with friends in virtual rooms and play multiplayer games online. And speaking of games, the Gear VR gives you access to an expansive library powered by Oculus. And with a separately sold Gear 360 camera, it’s easy to create and then immerse yourself in your own 360-degree video. Cons: If you have a Galaxy Note 9 you’ll need an adapter from Samsung Customer Service. It’s free, but still annoying to get. Also, unlike more basic headsets you have to have a Samsung phone for this to be worth it. Samsung also cautions that the Gear VR is not for kids under 13, so don’t get one for younger kids to use. backpack, so it gets a few points for style. Pros: Typical from Google, the Daydream can work with a variety of Android-based smartphones, and it supports more apps than higher model VR sets, like Youtube, which has plenty of VR content. Cons: The Google Daydream does not support iOS. If that doesn’t matter for you, there are hundreds of videos and apps to play with, but if you’re looking for a more immersive gaming experience, like Beat Saber, then you’re better off looking at a gaming VR set like what the Oculus can offer. If VR had a Cadillac, it’s the HTC Vive. It’s lauded as the best VR headset experience you could get. It doesn’t hurt that the headset was launched as a joint project between HTC and Valve, the video game developer and creator of the Steam platform. In addition to a big, bright screen, and a decent variety of games, the Vive also comes with responsive controllers. Of course, owning the Vive is only part of the fun. You’ll need serious PC hardware, like a separate, powerful graphics card, and a strong processor to get the full impact of VR. That being said, it’s not necessary to have those tools to get the full immersion. Whether you’re running off of state of the art PC or something more mid-range, you’re going to love the experience. Pros: Full immersion. Just search YouTube for “HTC Vive gameplay” and you can see how lifelike the Vive experience is. Vive also works with Mac or PC, so you’re not tethered to one type of computer. Cons: Premium VR sets don’t come cheap. For $500, you could pick up a refurbished PS4 and Xbox One. But the Vive it’s still cheaper than the Vive Pro, an $800 high-resolution upgraded version this still stellar headset. When it comes to a home console, there’s no better option than the PS VR. At a middle range price, this is the perfect alternative to more higher priced VR sets, especially considering Sony’s vast (and still growing) VR game library and the two games this bundle comes with. If your family’s entertainment system is already built around the PS4, the Sony PlayStation VR is an easy choice. Pros: With an already impressive library of more than 150 games you can purchase via the PS Store, the VR headset graphics get an upgrade if you own a PS4 Pro, which is 4K capable. The headset provides a comfortable fit and comes with a PS Move controller that’s tracked by the PS4 camera. Cons: Unfortunately the PS VR requires a PS4 camera. If you don’t get the PS VR bundle with the camera included, you’ll have to make another purchase. Despite that, you’ll also need a PS4 (obviously). Also, the lack of USB ports on the PS4 will make charging the set, controller, and your PS4 controller at once impossible.